East Sydney Locksmiths specialise in emergency lockouts and offers a 24 hour mobile locksmith service across the Eastern Suburbs, CBD and Inner West of Sydney. Our services include key 24 hour locksmith services and lockouts for both residential and commercial sites, supply and fit, safes, security doors and security keys. Some of our client base include real estate, strata and construction companies. We pride ourselves on providing excellent professional locksmith services and security solutions for areas around the Eastern Suburbs, CBD and Inner West. 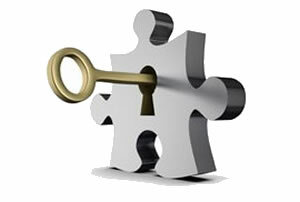 With our mobile locksmith service, are able to get to any lockout with 30 minutes, 24 hours a day, 7 days a week. Mobile Locksmith services are available in the following areas: Eastern Suburbs, Surry Hills to Elizabeth Bay, Maroubra to Bondi, CBD, Balmain to Leichardt. When it comes to urgent emergency locksmith issues, don’t panic, East Sydney Locksmiths have you covered with their 24 hour emergency locksmith service. With the resources to perform any number of solutions including, car keys replacement, repairing security door locks, remove broken key and anything else that may come your way, East Sydney Locksmiths have you covered.